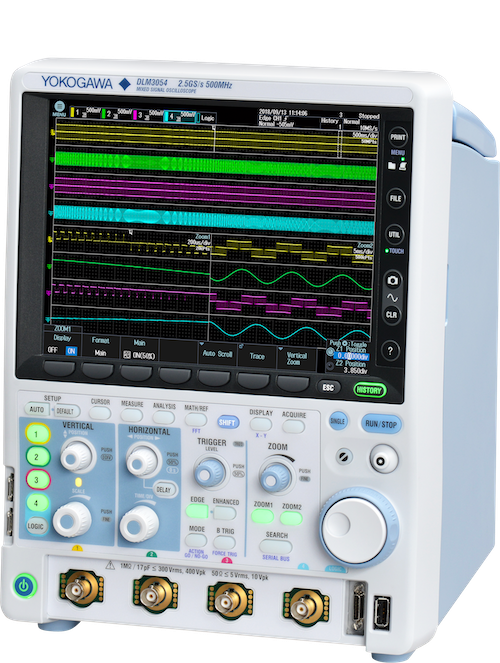 The DLM3000 builds on Yokogawa’s oscilloscope legacy with new features focusing on quality, flexibility, and usability to increase our users’ productivity and meet the advanced needs of today’s mechatronics designs. Integrating the latest in touchscreen operation, solid-state storage, and high speed signal processing, the DLM3000 enhances productivity by providing clean signals, extensive processing, and ease of operation. The DLM3000 touchscreen oscilloscope provides productivity at your fingertips.